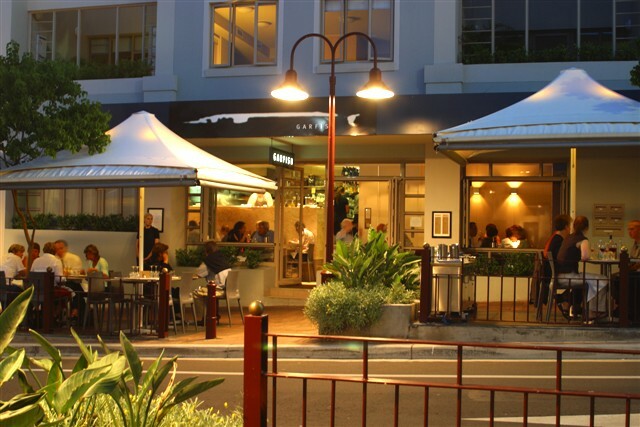 In the hub of the Kirribilli restaurant scene, our café style ambience provides a welcome escape from the cold. Our selection of winter meals are prepared to warm and comfort, so whether it’s a daytime meeting or an evening meal, we’re only a short stroll from the North Sydney CBD or metres from Milsons Point train station. Like all of our Sydney restaurants, Kirribilli is now serving our winter menu. This blog post is part of our winter 2013 menu feature and characterises the winter fair that is now available at Kirribilli. This is a simple, yet fresh and lively dish where the marriage of the fennel and salsa is the perfect backdrop for the oily flavours of the sardines. Too good to miss! Combine the fresh ocean flavours of the scallops and the earthiness of the pork, against the silky smooth celeriac puree, and this entrée will be sure to soothe your senses. It’s a delicious start to any meal. Warming, comforting, the simple flavours of this main dish are the perfect winter blues cure. The sautéed king prawns and flavours of the saffron work in harmony with the textures and taste of the beans, basil and parmesan. When we do beef at Garfish, we do it with nothing less than our full commitment. This meaty winter warmer is braised for four and half hours until it practically falls apart. Paired with silky soft polenta, and the gremolata of parsley, garlic and lemon which heightens the flavours, this dish all but melts in your mouth. A base of shortcrust, together with frangipane cream and the sharpness of granny smith apples to cut through the sweetness, and a scoop of golden syrup ice cream, this dessert is decadent deliverance for winter sufferers!